The All Progressives Congress on Saturday, held elections that produced new executives for the party in all the states of the federation. The elected officials are also expected to serve as delegates to the party’s national convention scheduled to hold next month in Abuja. NAIJASIMPLE correspondents, who monitored the congresses across the country, reported that the exercise further exposed the cracks within the party as two different executives emerged in some states. The exercise was marred by violence in Ondo State as suspected thugs invaded one of the venues of a parallel congress and beat up some party chiefs including a member of the House of Representatives, Mr. Bamidele Baderinwa. States where two different executives emerged amidst tight security are, Ondo, Oyo, Lagos, Delta, Kogi, Kwara, Zamfara, Abia, Enugu and Imo. Some armed men suspected to be political thugs invaded the BTO hall, venue of a parallel state congress in Akure, the Ondo State capital on Saturday and disrupted the exercise. Several members of the party, including Baderinwa, representing Idanre/Ifedore federal constituency, and some journalists, were beaten up by the hoodlums. No fewer than 40 people were injured during the violence. Men of the Nigerian Security and Civil Defence Corps, who were at the venue to provide security, were overwhelmed. The exercise was disrupted around 10am when the thugs arrived at the venue in six vehicles with dangerous weapons and started throwing stones at everybody. The window glasses of the hall were also smashed with stones. They also tore the lawmaker’s clothes into shreds. They nevertheless elected Mr. Idowu Otetubi as chairman, while Gani Mohammed emerged the secretary of the faction. However, the second congress held at the International Events Centre, returned the current executives led by Mr. Ade Adetimehin. A faction of the party led by Chief Ikechi Emenike, elected Dr. Emmanuel Ndukwe as chairman of the party in the state at the congress held at the Eziama Mgbaja Ossa hall in the Umuahia North Local Government Area. The congress was monitored by a two-member congress committee led by Hajia Rabi Sulu Gambari and Alhaji Graba Dani. Another faction of the party led by a former governor of the state, Chief Orji Kalu, held its congress which produced Chief Donatus Nwankpa as chairman at the Umuahia Township stadium. The congress committee chairman, Senator Jonathan Zwingina, said elected officials of the party in the state who did not obtain nomination form from his panel, would be disqualified. Two different executives also emerged in Oyo State during the APC congress held on Saturday. The Unity Forum, held its congress at the Obafemi Awolowo Stadium in Ibadan. 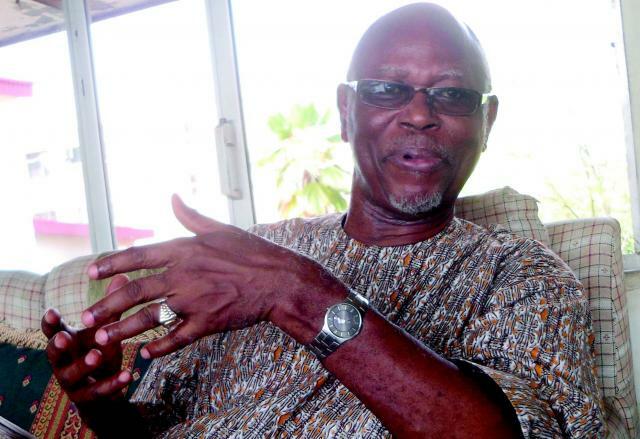 The faction had as its leaders, the Minister of Communications, Adebayo Shittu; governorship aspirant of the party in the state, Prof Adeolu Akande; Senator Monsurat Sumonu; eight members of the House of Representatives; party leaders; and 22 out of the 26 former executive members of the party in the state. The other faction led by Governor Abiola Ajimobi held its congress at the state-owned Lekan Salami Sports Complex, Adamasingba area of Ibadan. Among those present there were, former Governor Adebayo Alao-Akala, and a former Senate leader, Teslim Folarin. While Akin Oke retained his position as the state chairman of the party in the governor’s group, his former deputy, Isiaka Alimi was elected as chairman of the Unity Forum arm of the party. Two factional chairmen emerge in Kwara State as the party held parallel congresses. Alhaji Ishola Fulani-Balogun was returned as chairman of the faction loyal to the Senate President, Dr. Bukola Saraki, while the faction loyal to President Muhammadu Buhari elected Mr. Bashir Bolarinwa as its chairman. Saraki’s faction held its congress at the state Banquent Hall, while the faction loyal to Buhari conducted its own at the Arca Santa Event Hall also in Ilorin. The two parallel congresses witnessed large turnout of delegates under tight security. Saraki, all members of the National Assembly from the state, Governor Abdulfattah Ahmed, his deputy, Peter Kisira and the Speaker of the state Assembly, Ali Ahmad, National Publicity Secretary of the party, Bolaji Abdullahi and Alhaji Kawu Baraje witnessed the congress. A faction of the party spearheaded by the embattled Senator Ovie Omo-Agege on Saturday held a parallel congress to elect the state executives. The congress held at the St. Mulumba Primary Secondary School, Okpanam was attended by Omo-Agege who represents Delta Central Senatorial District and a four-time governorship candidate in the state, Chief Great Ogboru. It was learnt that the Minister of State for Petroleum, Dr. Ibe Kachikwu, is also pitching tent with the faction in what members described as a renewed effort to wrest the structure from the 2015 governorship candidate of the party, Olorogun O’tega Emerhor. A chieftain of the party and Executive Director, Business Development NEXIM Bank, Stella Okotete, insisted that the congress was in line with the party’s guideline. She added that the congress was the only genuine one in the state. Two different APC executives on Saturday emerged in Kogi by affirmation. While the faction loyal to Governor Yahaya Bello held own congress at the Confluence Stadium, the Audu/Faleke faction held its own at St. Peters Primary School, Felele, Lokoja. At the congress held at the Confluence Stadium, Mr Abdulahi Bello, emerged as the party state chairman, Mr Ibrahim Abdulrahman, Deputy Chairman and Mr Josiah Onoja, Secretary. However, the Audu/Faleke faction at the congress held at St Peter Primary School Felele, re-elected the outgoing state Chairman of the party, Alhaji Haddy Ametuo. A faction of the party in Ebonyi State under the leadership of a former governorship candidate in the 2015 election, Chief Julius Ucha, has elected Chief Sylvester Nwambe as the state chairman of the party in the state. In a similar vein, another faction loyal to the Minister of Science and Technology Dr Ogbonnaya Onu, at the time of filing this report ,was conducting its congress at the Nkwegu Ugbala Grand Arena in Abakaliki. Security operatives earlier in the day barred delegates from Ucha faction who thronged the Nkwegu Ugbala venue apparently from gaining entry into the venue of the state congress. Ucha’s group however relocated to another factional APC party secretariat located at the Enugu/Abakaliki Expressway where they held their congress where Dr. Sylvester Nwambe emerged as the factional chairman. Heavy security men were at the Nkwegu Ugbala Grand Arena venue of the congress and prevented members of the Ucha factional from gaining access to the venue. The police also apprehended and whisked away three delegates from the group who tried to enter the venue, while other delegates who clustered at the gate were dispersed with teargas and gunshots into the air. The state chapter of the party had produced two parallel executive both at the party’s ward and local government congresses held in the state two weeks ago. Two chieftains of the APC in Adamawa State, Messrs. Demas Ezra and Bilal Ibrahim emerged factional chairmen of the party in the state. Governor Jibrilla Bindow and the Secretary to the Government of the Federation Boss Mustafa attended the congress which produced Bilal, a former chairman of the party. The other parallel congress backed by the sacked SGF Babacir Lawal, Senator Abdul Aziz Nyako, Senator Mo Allahyidi, former deputy governor, Bello Tukur, held at Lelewal Motel elected Ezra as factional chairman. Speaking shortly after the election, Nyako said his faction observed due process in the conduct of the state congress, adding that the process was in line with the APC constitution that ushered in the new executives. Nyako and other stakeholders vowed to resist Bindow executives of the party. A former governor of Bayelsa State, Chief Timipre Sylva, and a former acting governor of the state, Chief Nestor Binabo, have again split the APC in the state. Like last Saturday, when factions loyal to the two party leaders held parallel congresses, the situation repeated itself on Saturday with the two camps producing two different state chairmen. The congress held by Sylva’s faction, which was attended by the Minister of State for Agriculture, Senator Heineken Lokpobiri and other party members, elected the Chairman of Southern Ijaw Local Government Area, Jonathan Amos, as the chairman . But the Binabo faction, comprising party stalwarts such as the Bayelsa representative on the board of Niger Delta Development Commission, Prof. Nelson Brambaifa, Mr. Preye Aganaba; among others, returned the acting chairman of the APC in the state, Joseph Fafi, as the substantive chairman. The Speaker of the House of Representatives, Yakubu Dogara-led faction of the party, boycotted the congress in Bauchi, on Saturday even as all the former executives were returned unopposed. The Dogara-led faction which included two senators, four House of Representative members, state assembly members, among others, were absent at the multi-purpose indoor Sports Hall, Bauchi, venue of the state congress. NAIJASIMPLE observed that the congress held under heavy security. Bauchi State Governor, Mohammed Abubakar, described the congress as successful. But a member of the Dogara-led faction, Muhammad Bala Jibrin, who is a governorship aspirant in forthcoming general election told journalists on the telephone that they decided to boycott the congress because the matter was already in court.